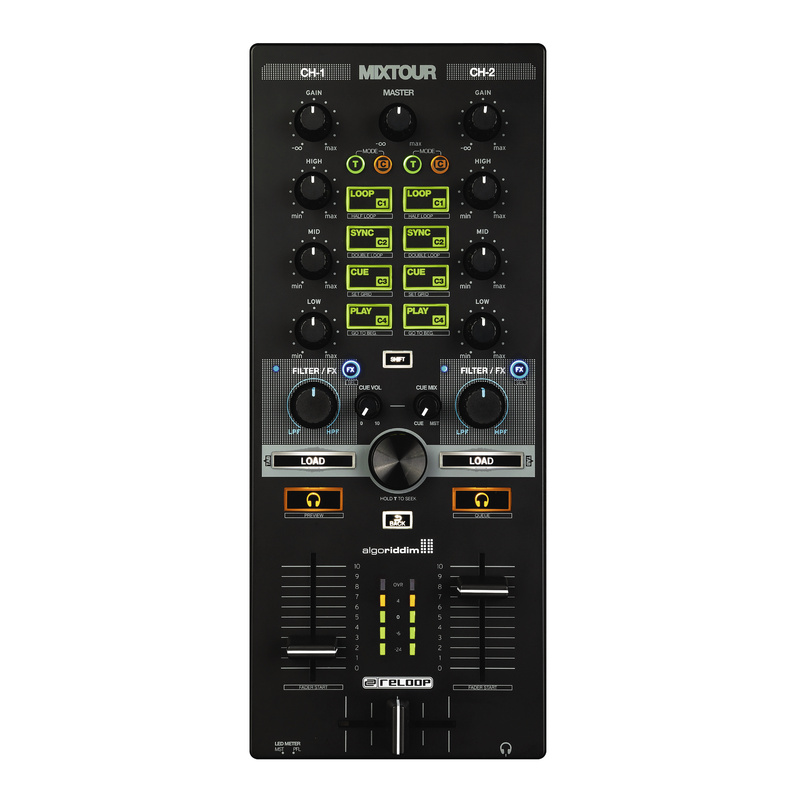 The strong, durable, full-size control knobs and 45mm Pro-Faders are set out in the same way as a class-leading club mixer. 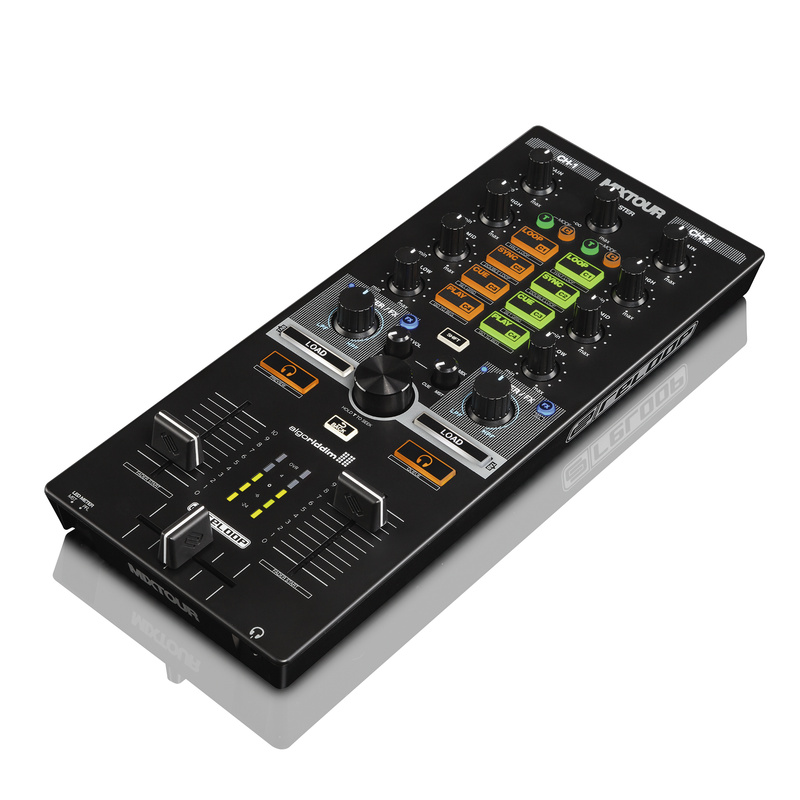 The three-band EQ, gain trim pots, bipolar filters and VU meter (switchable between master and pre-fader) ensure you have everything you need to perform. 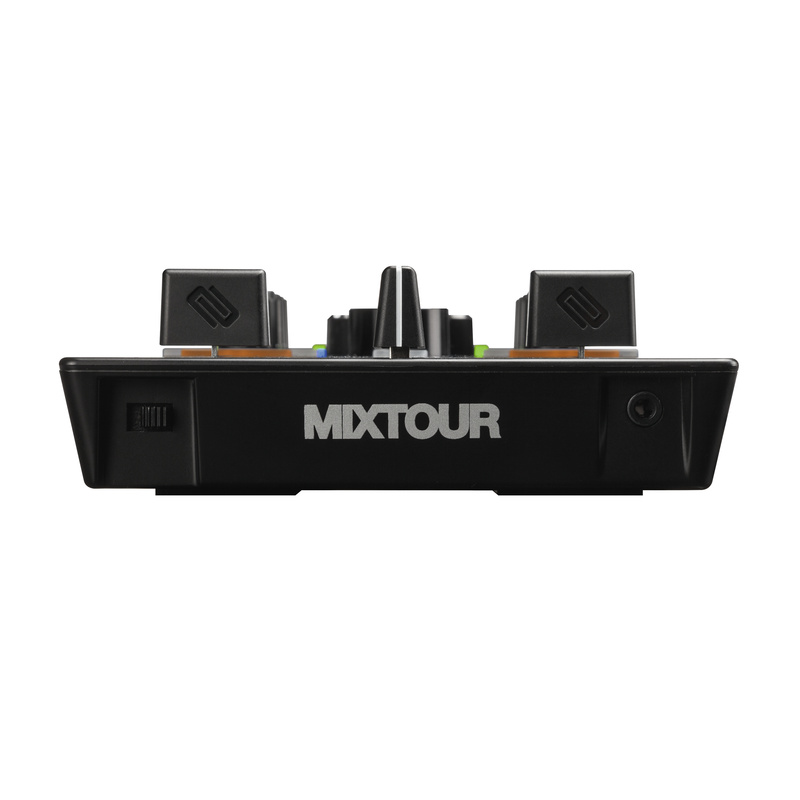 All controls ensure a high-quality performance every time you play, and the whole MIXTOUR carries with it a sense of solidity and reliability. 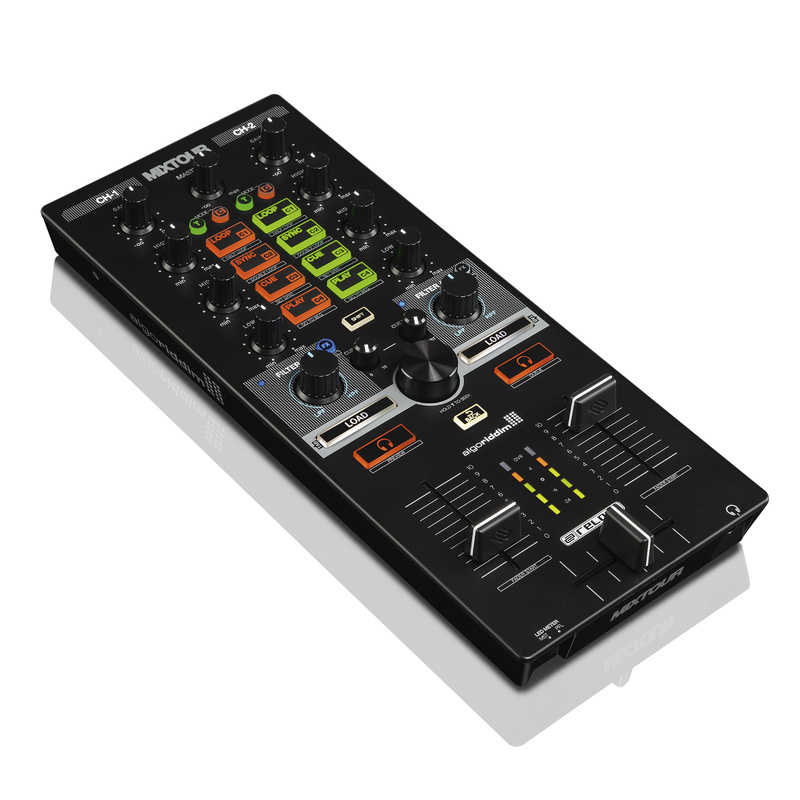 The unique Reloop Trax-Encoder gives convenient and comfortable control over your music library. 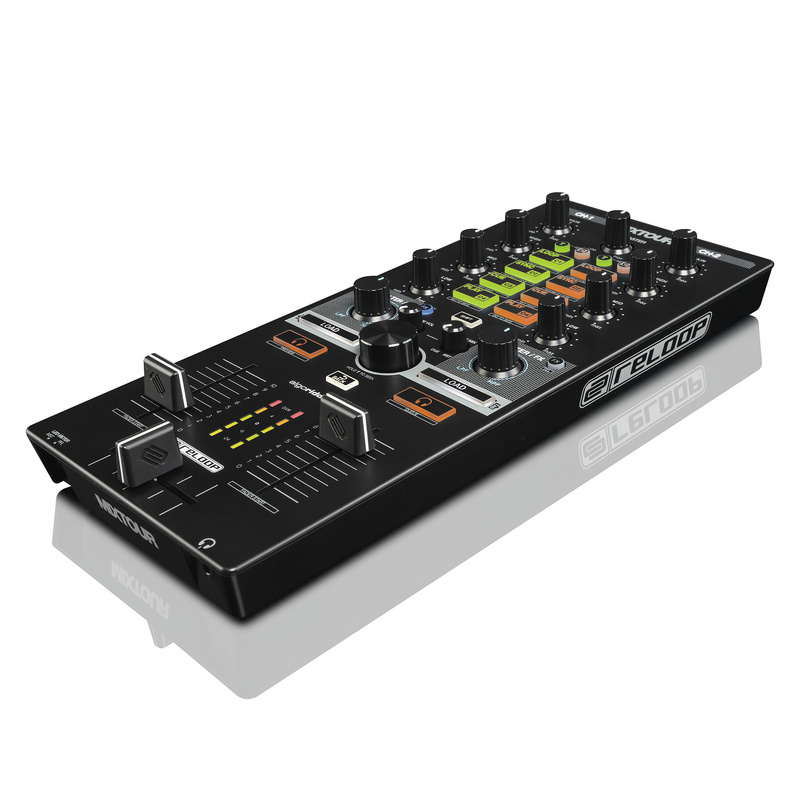 The ‚Seek‘ option on the Push-Encoder, allows you to detect and navigate to a specific position of the selected track. The full-size load buttons can be used to navigate through the library tabs by selecting the shift layer, enabling quick search for certain artists, titles or genres. You can even pre-listen to your next track without having to load it into the deck, making navigating huge Spotify* and iTunes track lists far easier. 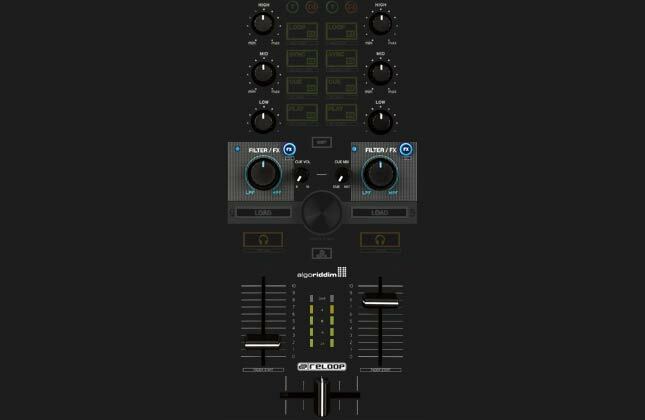 This feature allows you to combine an effect and filter simultaneously by pushing the FX-button. 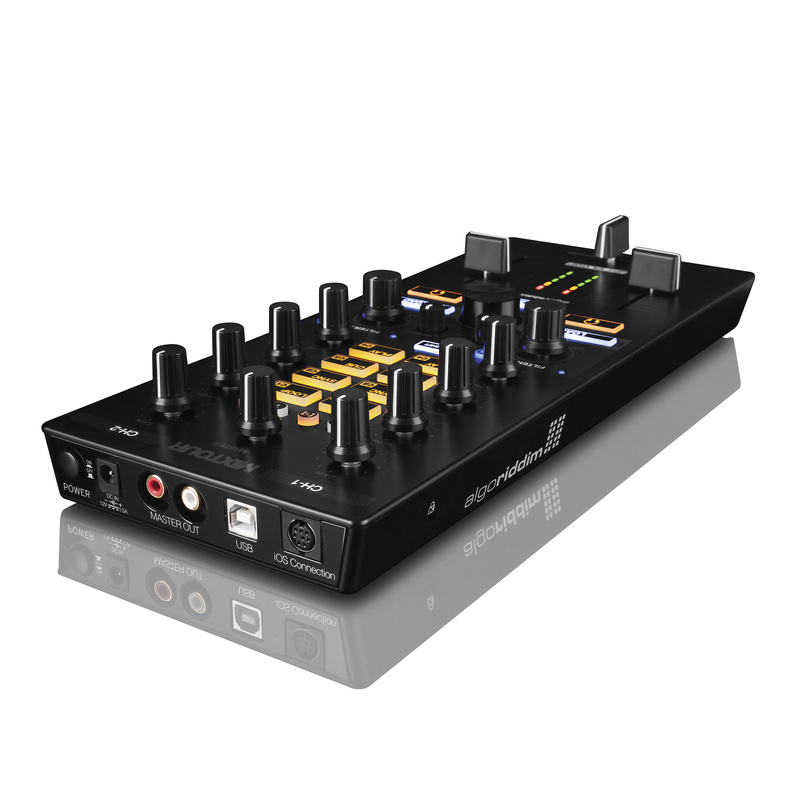 Select any effect by simply pushing the Shift- and FX-button at the same time. Now you can create any imaginable effect combination as a Delay and a High/Low-Pass filter for dynamic build-ups and breaks. MIX MORE THAN 20 MILLION! The market-leading streaming service Spotify* is integrated seamlessly in DJAY 2 / Pro. 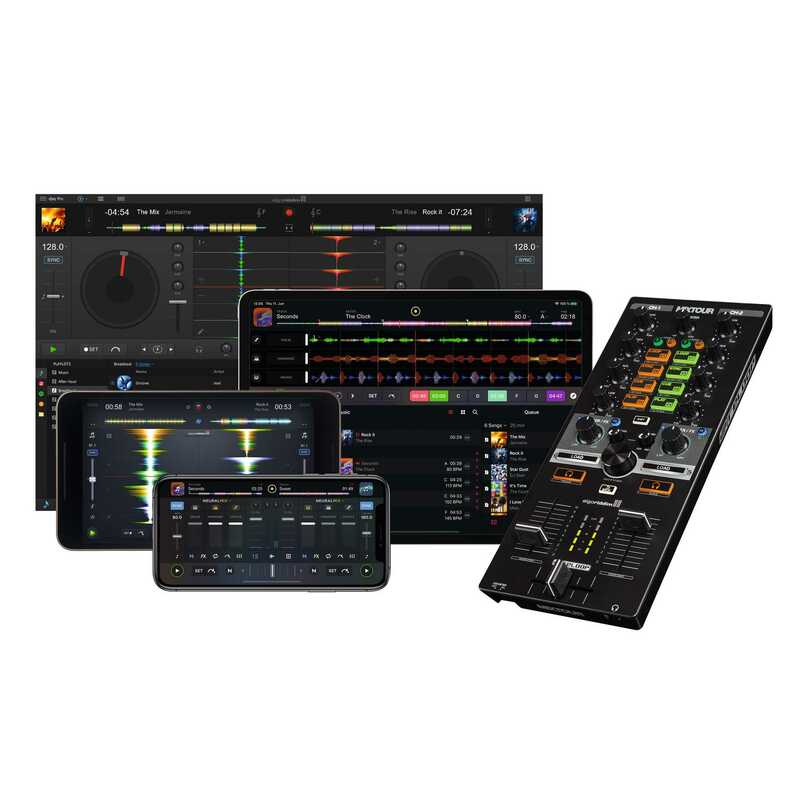 That means you can access directly millions of tracks and mix them on the fly as if they were all already on your device! Spotify and DJAY takes away the need for you to store huge music libraries on your device. The Spotify integration is enhanced with an innovative Match- & Mix- System which analyzes each tracks genre, BPM and Key for Harmonic Mixes and can even suggest a fitting next track for your mix! 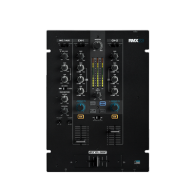 An amazing club-ready sound with low latency and low-noise playback best describe the integrated interface for all platforms. 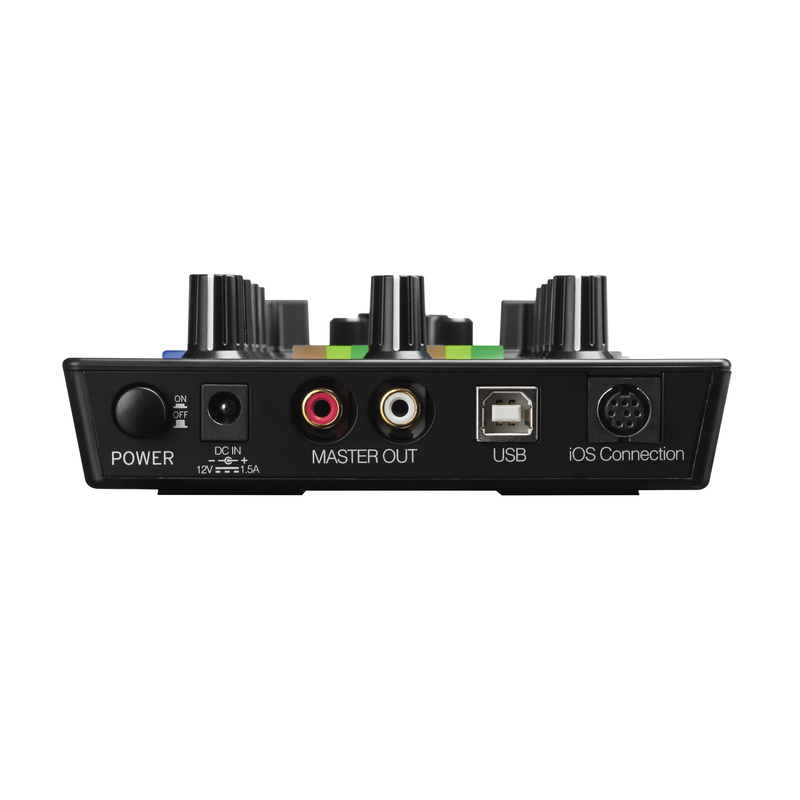 The included power supply charges your iOS device whilst mixing. Including Apple Lightning connection cable, Android OTG Adapter cable, USB cable for PC/MAC and international power supply. *Note: Spotify access in djay requires a Spotify Premium subscription. A FREE 7-day trial of Spotify Premium is available to all users of djay 2. It's easy and intuitive to use, and above all fun. 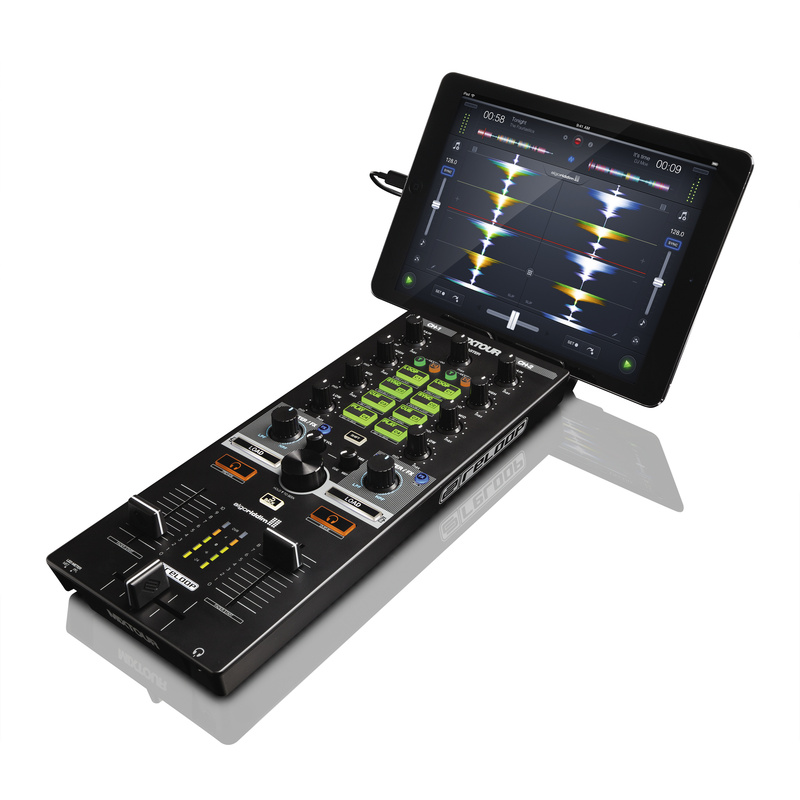 [...] A wicked little companion for Algoriddim's djay software that offers hands-on control. 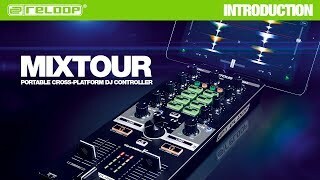 Der kompakte Controller Reloop Mixtour hat uns gut gefallen. Das Gerät ist mit verschiedenen Systemen problemlos nutzbar und wird für ein überschaubares Budget angeboten. 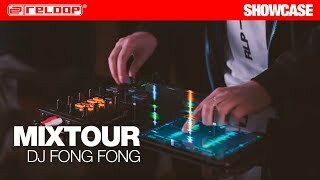 Der Reloop revanchiert sich mit einem erstaunlich lauten und druckvollen Signal, sowohl am Kopfhörer- wie auch Master-Ausgang. 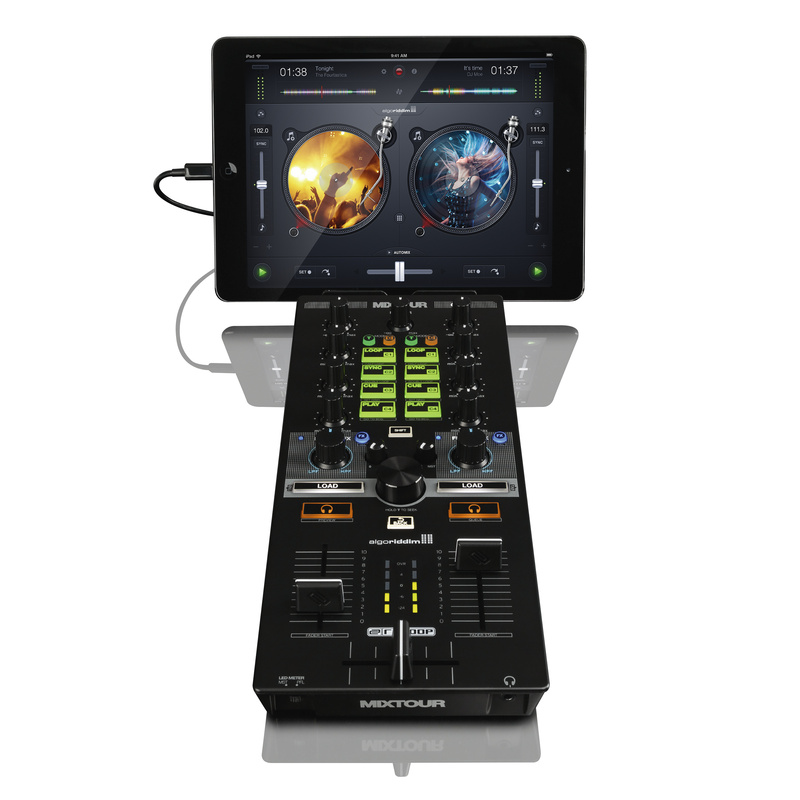 Algoriddim Djay 2, iPad Pro und Mixtour sind im Zusammenspiel eine extrem schlanke und gut funktionierende Kombination, die professionelles Auflegen mit zwei Decks ermöglicht. 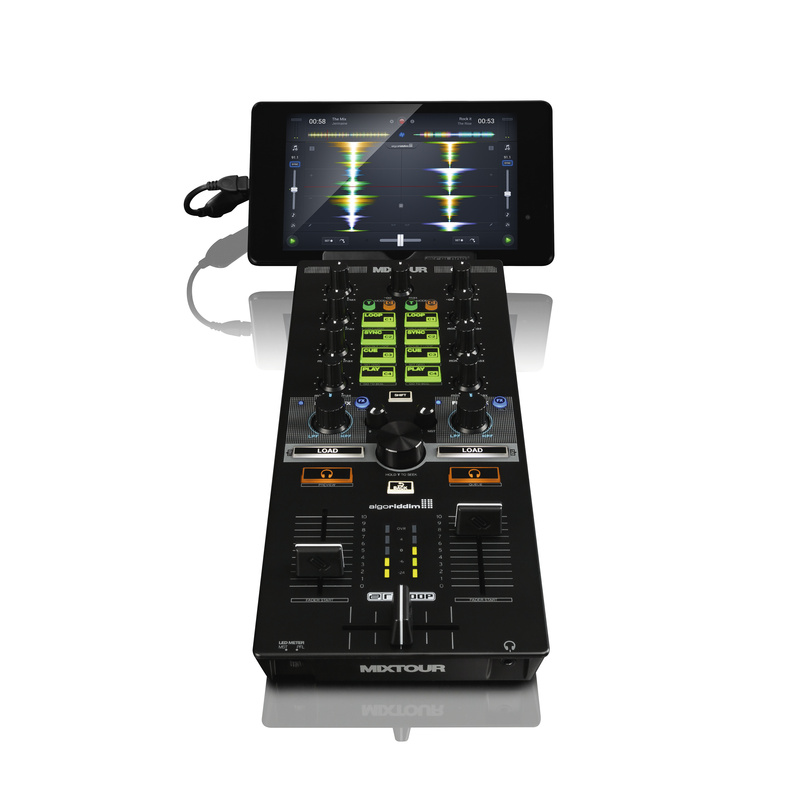 Le Mixtour est un contrôleur DJ / carte son capable de piloter de nombreux softs de mix et prêt à s´adapter aux circonstances de jeu. Ses faibles dimensions en font le compagnon idéal du DJ en goguette, dès lors qu´un laptop ou un mobile se trouve dans ses parages.